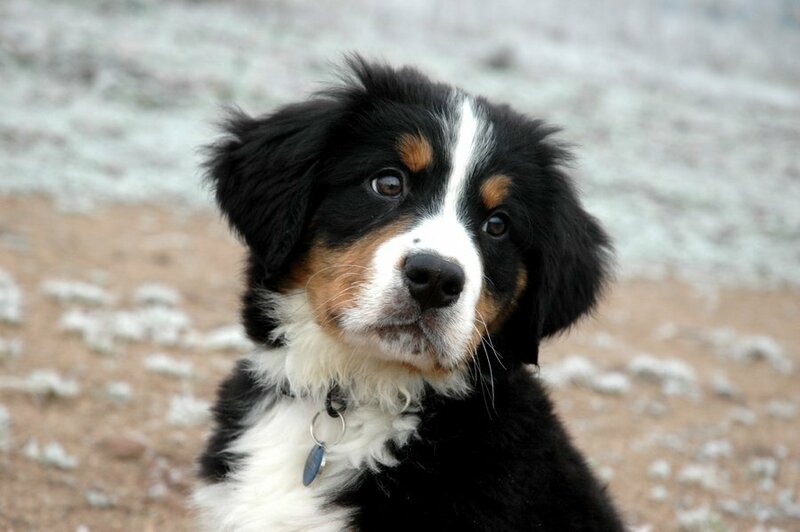 Originally, the Bernese Mountain Dogs were essentially farm dogs. 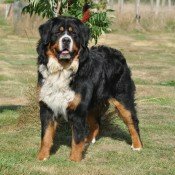 Nowadays, the Bernese Mountain Dogs have found a truly excellent place as family dogs. They are really very good dogs, loving and affectionate, perfect for children. 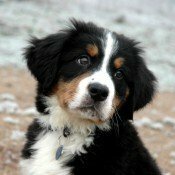 I know what I’m talking about, because I spent my childhood with Bernese Mountain Dogs in the 70s and they were such a source of joy! Their natural kindness and docility are greatly appreciated. They easily adapt to different lifestyles. They can also watch the house, since they can be dissuasive. They require no special training; a good education, beginning from the earliest age, will make them a sociable dog, balanced and with flawless loyalty. 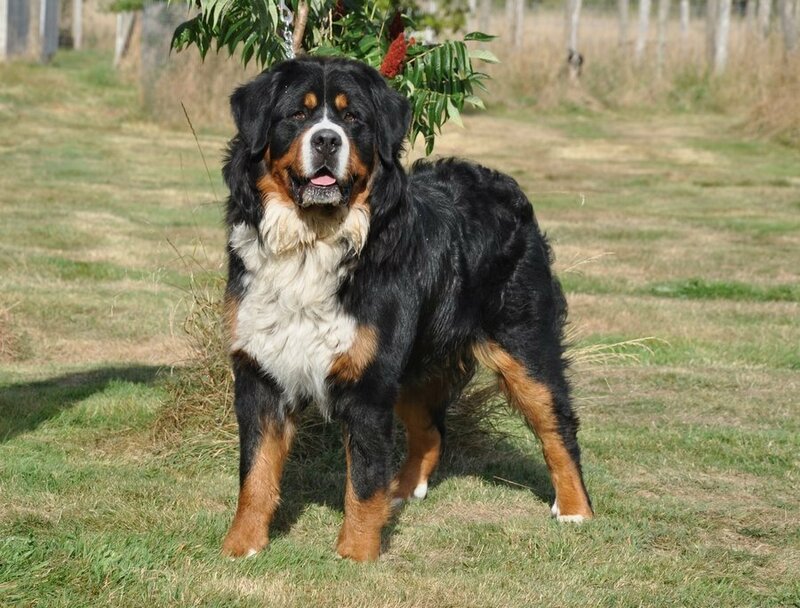 Growth of a female dog: Daïla from Joyeuses Gambades. Just a quick note to give you news of our beloved dog Daïla from Joyeuses Gambades: she is in great shape, especially since the arrival of winter, her favourite season! I especially wanted to tell you that the more time passes, the happier and prouder of this dog we feel, because she is actually exactly like we wished her to be! Neither too big nor too small, and of course she could not be more beautiful! We thought that she would require a lot of care, but she is almost “self-cleaning” and her hair is always shiny! (Except during the moults, of course). (…Continues) Although we have not provided any special education to her, she has a malleable character, she is as meek as a lamb, she does not make any stupidities, sometimes she is perhaps too naïve with other dogs, but dissuasive with humans. In short, she makes us happy and that’s thanks to you, who have guided us towards her, so thank you very much! We see so many owners so embarrassed by the behaviour of their dogs, either at home or elsewhere, and it is at times like these when we increasingly realize how lucky we have been with Daïla; we get along so well! Soon we will have had her for a year and a half, so it’s the right time, we thought, to share and review our experience with our canine companion dog with you! We hope everything goes well at your side in your big family in Loiret! PS: Do not hesitate to provide my contact (e-mail) to people who wish to know more about Daïla or who wish to ask us questions! This is our first Bernese Mountain Dog, Verdi, in the decade of the 70s. At the time, these Mountain Dogs were still uncommon. Thanks to him, we discovered this breed. We shared every moment of our lives, including holidays. We will always have a wonderful memory of him! So we pay tribute to him.